But do we really want companies deciding what's best for our bodies? We don't see more certified health apps on mobile devices in part because - at least in the US - they need to go through a rigorous screening process that can mire development for months. Soon, though, that may change. Today the US Food and Drug Administration (FDA) announced that it has chosen nine companies out of more than 100 for its “Pre-Cert for Software” program, which will essentially “pre-certify” health-focused apps and possibly a few devices offered by these companies. Firms that made the cut include Apple, Fitbit, Samsung, Johnson & Johnson, Pear Therapeutics, Phosphorus, Alphabet's Verily, Roche and Tidepool. If all goes well, these companies will help establish standards regarding how much information associated with a new app or product needs to be sent to the FDA. If you’re Samsung, for instance, you’d tell the FDA the steps you’re taking to create, test and update the health-focused apps you offer, and the FDA would make periodic visits to ensure nothing is amiss. In time, these nine companies might be trusted to informally “certify” apps on their own without the FDA’s intervention. What could go wrong? Plenty, obviously, and that’s why the FDA seems insistent on making it clear that this is a pilot program. If it proves successful, though, that means innovative health-focused apps could start appearing in the US sooner than they have so far. What's more, it could speed up innovation at leading tech companies the world over. You don't have to dig deep to find evidence that regulations have, in fact, hindered development. 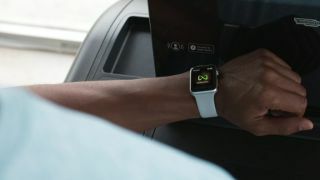 Rumors have suggested that Apple has wanted some kind of glucose monitor for the Apple Watch ever since the earliest leaks, and in 2015, CEO Tim Cook specifically pointed to FDA regulations for the removal of some intended features. "We don't want to put the watch through the Food and Drug Administration (FDA) process," Cook said at the time. "I wouldn't mind putting something adjacent to the watch through it, but not the watch, because it would hold us back from innovating too much, the cycles are too long. But you can begin to envision other things that might be adjacent to it - maybe an app, maybe something else." And wouldn't you know it? As recently as May, Cook was spotted wearing a prototype of the long-rumored glucose monitor. With the Pre-Cert program in place, it's possible we could see it on the market comparatively soon. Europe has similar restrictions, but the difference is that companies like Tüv Süd handle much of the medical certification rather than governments. It's often a faster process. Tüv Süd's esteemed reputation serves as proof that private companies can be trusted to make these kinds of certifications. But that's all Tüv Süd does. Will it work when the certification is being handled by companies focused on profit? We're about to find out very soon. Or maybe you'd prefer the latest smartwatch deals?